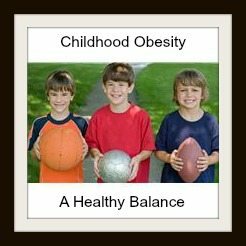 We hear or read in the headlines that childhood obesity is reaching epidemic levels. According to the World Health Organization, in 2010, three out of 10 children aged between 2-15 were obese in the UK and over 40 million under 5 years old were overweight worldwide. These are frightening statistics especially when we think of the health problems that arise later in life such as asthma, high blood pressure, type 2 diabetes, heart disease, some cancers, sleep apnea and liver disease. Being overweight can also lead to emotional problems such as low self esteem, confidence and depression. 1. Watch the diet. Include lots of fruit and vegetables along with the staples that will fill them up. 2. Limit the amounts of some food you allow your children. We all need a treat sometimes and that’s fine but stick to the sometimes. 3. Find other ways to reward. Don’t always reward your children for doing well or trying had at something by going out for a cake or to your nearest fast food place. It could be a small toy, book or comic or they choose what film to watch. 4. Keep active. Not all our children are into sports and that’s fine but there are other things you can do encourage walking, scooting or biking to school or to the local shop. 5. Go for a walk or to the park at the weekend meet up with other friends or borrow a dog to make it easier. 6. 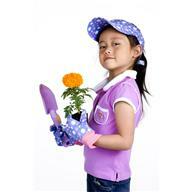 Have a go at gardening, in the spring you could plant some flowers or veg. 7. Have some healthier snacks at home like rice cakes, oat cakes or bread sticks. 8. Watch both the sugar and fat content of foods and instead of banning things altogether allow your children to have one. The one thing we do for a special occasion we do let the children have a fizzy drink but one small glass and then its water. 9. As with all parenting issues lead by example we are the biggest role model are children have. 10. Encourage participation if at school they are offered the chance to try a different sport or activities encourage them to have a go. 11. Teach some old fashioned playground games like skipping of hop scotch my kids love it when I tell them I used to so this at school. 12. Eat together as a family as often as possible and switch off the TV. 13. Have a try an exotic fruit day. The kids can help choose. Finally, learn from your kids. I noticed with mine that, although they love white bread, if they have it for sandwiches they are much hungrier after school than if they have wholemeal or even the 50:50 bread. The same goes for chocolatey cereals and we have reached a compromise; I don’t mind Weetabix with bits of chocolate in or we make chocolate ready brek but there are no Coco Pops. When we are on holiday though its different, we might (but not every holiday) buy a variety pack of cereal but you all know the marketing slogan ‘when they’re gone they’re gone’. Healthy life is very important to live long ! A very usefull post, healthy balance in life is really important. An excellent article, Kids should be encouraged to take physical activities and healthy eating. As a nation we facing a big problem of child obesity and we should tackle it head on. thank you for this very useful post,,../ it contains great ideas which are really useful! keep it up!